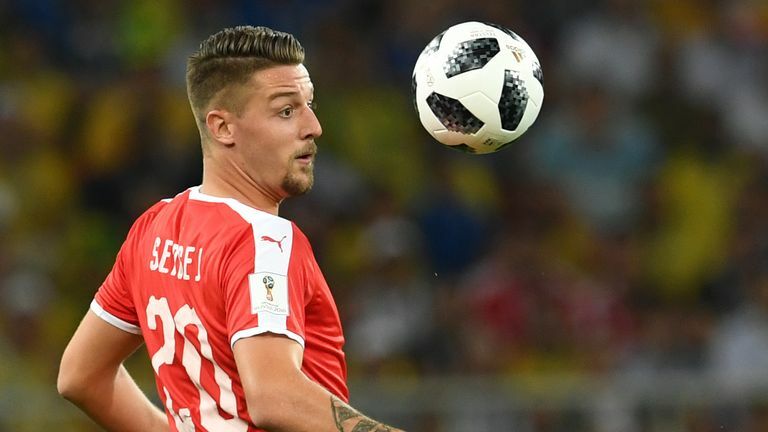 Jose Mourinho was on a scouting mission to see Sergej Milinkovic-Savic when he watched Serbia's win over Montenegro, Sky Sports News understands. The Manchester United manager was in Montenegro as Fulham's Aleksandar Mitrovic scored twice to help Serbia to a 2-0 away victory in Podgorica on Thursday in their UEFA Nations League match. Milinkovic-Savic, who has been a long-term transfer target for United, came on as a substitute for the final 10 minutes of the match and set up Mitrovic's second with a back-heeled assist. The 23-year-old Lazio midfielder signed a new deal with the Italian club earlier this month. The scouting trip comes in the same week Mourinho meets with United executive vice-chairman Ed Woodward. Who is behind Man Utd transfers? Mourinho's position has come under increased scrutiny following rumours of strained relationships within the club. Is passing from the back worth it? United are eighth in the Premier League, seven points behind leaders Manchester City. Among former players to comment on Manchester United's poor start to the season, Wayne Rooney believes Mourinho has become an "easy target" and has been used as a scapegoat.